Volunteering at Kisharon is incredibly rewarding. It’s an opportunity to meet new people, share your skills – and learn new ones – and to enrich other people’s lives. 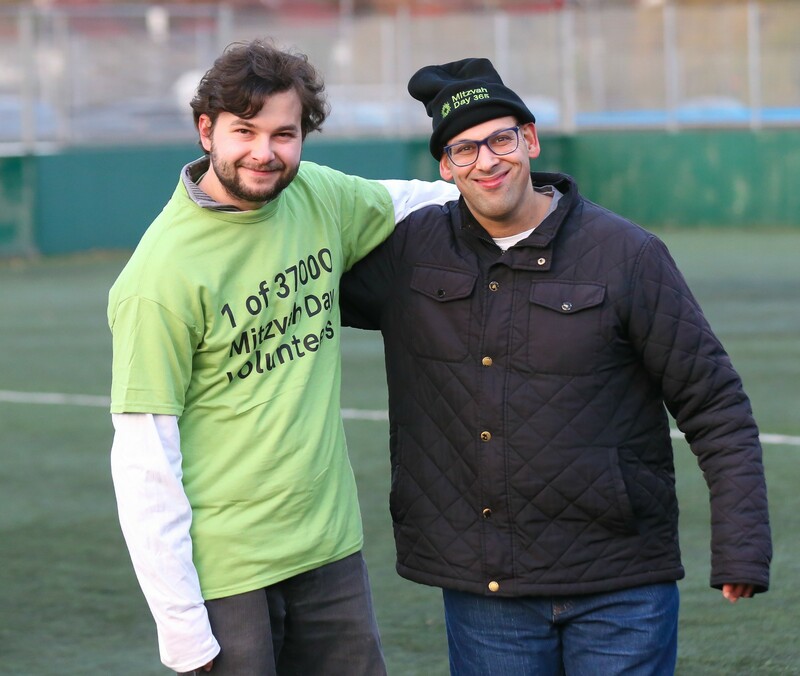 We are always looking for enthusiastic individuals to join the growing and dynamic volunteering team at Kisharon. There are a wide variety of volunteering opportunities available in each of our services, so whether you are looking for an administrative role or an opportunity to work with the people we support, there is an exciting volunteering opportunity for you. This can be a regular commitment or an ad hoc/flexible arrangement. As a Kisharon volunteer, you will receive an induction, training and continual support. There is always a trial period, giving all involved the opportunity to experience volunteering without commitment. No previous experience is necessary. For younger volunteers, every hour spent with Kisharon counts towards the Yoni Jesner award, or the volunteering element of the Duke of Edinburgh Awards. Kisharon and Barnet Mencap run the public library in Childs Hill and need volunteers to help. Childs Hill Library is set to become a centre of excellence for inclusion, a flagship in the UK. Some of the key tasks for volunteers are: meeting and greeting library customers, helping customers to find the resources they want, re-shelving books and keeping the library safe and tidy, helping customers log on to computers, assisting with library events and clearing up afterwards, helping to maintain the book stock by carrying out cleaning and repairs, helping with library displays and helping to promote the library service in the community. In addition, there are opportunities to take part in other activities such as: the conversation cafe, the annual activities programme, including the Summer Reading Challenge, film showings, children’s groups and community events. Volunteer shifts: 10-1pm (Mon), 2-5pm (Wed), 2-5pm (Thurs), 5-8pm (Thurs) and 2-5pm (Sun). Please note these shifts can be flexible. 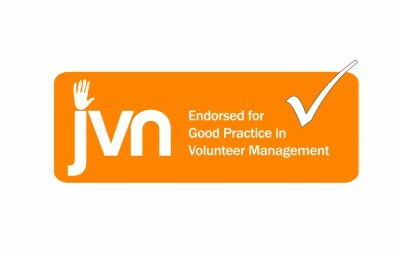 We offer training and regular support and our volunteers learn new skills and meet new people. For more details contact Francine Haagman on volunteer@kisharon.org.uk or call: 020 3209 1169. Kisharon is looking for volunteers to enhance the creativity and well being of the adults with learning disabilities we support. Currently we are looking to fill the following voluntary positions: Personal trainer, tennis player, chess player, arts and crafts enthusiast, baker, exercise enthusiast. Ad-Hoc volunteering. Join our database and be the first to hear about ad-hoc opportunities. These include helping at stalls, events, collections and supporting adults and children on holidays. We are also looking to involve volunteers in other creative and sporty ways, so if you have a hobby that you would like to share with the people we support, please get in touch. Our students and the people we support often need to be driven to sports centres, swimming pools or other venues, at various times of the day and week. If you have a clean licence and can drive a minibus, please contact us. Fully trained staff will accompany vehicles at all times. You would need to commit to two hours a week to drive people in Hendon or Stamford Hill. Volunteers are needed to support adults with learning difficulties to take part in Shabbat activities such as kiddush or to attend shuls in Golders Green. This is a twice-a-month commitment for half an hour, and can be undertaken in pairs. Ages 16 and above. Visit adults living in supported living accommodation between 6-7pm to do arts and crafts, play games, read together, learn or have discussions. This is a once-a-month activity in Hendon or Golders Green. This is suitable for young and older volunteers and can be undertaken in pairs. Would you like to support women with learning needs to light candles and sing songs at dusk on a Friday to help bring in Shabbat? As a volunteer you will light candles, make the brachos, sing shalom aleichem and recite kiddush. A supportive, calm, patient person with knowledge of Jewish prayers needed. This is suitable for girls aged 15 + and can be undertaken in pairs once, or more, a month for half an hour. Would you like to make Havdalah for two ladies in their home after Shabbat? Suitable for men above the age of 21 years, once a month for half an hour and can be undertaken in pairs. Support individuals over the lunchtime period. During this time you can play board games, take part in arts and crafts, read, chat or tend our beautiful and growing vegetable garden. The men and women love to meet new people, are very welcoming and eager to share their stories and ideas with you, promising to bring many enjoyable moments. We are looking for calm, supportive and patient people who can come once a week between 12.30 and 2.00pm. We are looking for the owner of a dog, or cat, living in Hendon or Golders Green. A woman we support with learning disabilities would like the opportunity to take care of a pet once a week and would come to your home with a member of staff. The animal must be extremely tame. For more information, please call 020 3209 1169 or email: volunteer@kisharon.org.uk. Want to sign up right now? Adults click here, while young people need to click here.